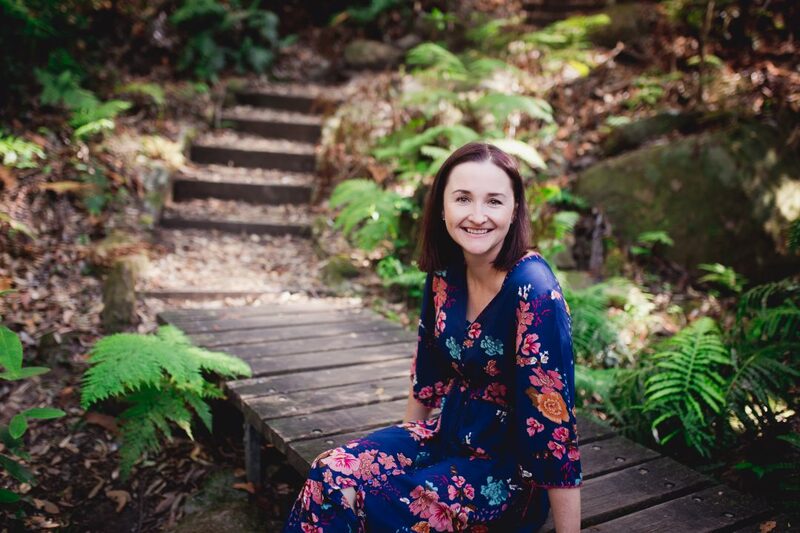 Renee Tilley, owner of Paudha Healing provides an insight to behind the scenes of her gorgeous natural skincare business. I’m a 36 year old mum and wife with a corporate background, having been in the legal industry for almost 20 years now (yes I left school when I was 15!!). I live in the beautiful Blue Mountains, NSW with my hubby (who also helps out with the business), our very spirited, 6 year old daughter and our fur babies, who are both rescue dogs, Ben the Jug and Ruby the Pugalier. We moved to the mountains in 2011 and have not looked back, it is definitely the most beautiful place we have lived and truly feels like home. It is such a small and close community here, we just love it. It was after the birth of our daughter in 2011, that I started to reconsider my career and what I wanted in life. I had always been passionate about health and wellness and having been a vegetarian since the age of 13, I have always been conscious of what I put in my body. I decided I wanted to learn more about this and really understand how our body works and how to live a more holistic life. So I enrolled in a Bachelor of Health Science (Naturopathy) with Endeavour College. Now for someone who did not finish High School, this was a very daunting experience, but sometimes you just have to go with your gut and let the rest fall into place!! I’m still studying part-time due to family/work commitments but absolutely love studying and am forever amazed with what I am learning and how the body works. I put my degree on hold last year to complete a Certificate in Advanced Cosmetic Chemistry which was great and has definitely given me some new ideas for product development, but I’m looking forward to getting back into my degree this year and also seeing where the business takes us! Tell us about your biz..
My business is Paudha Healing. The first question I’m always asked is what does that mean?! Paudha (pronounced pow-da) means plant in Hindi and plant healing is what the business is all about. I am passionate about using plant-derived, natural ingredients with medicinal benefits, to create beautiful, gentle skincare. The business was launched in April 2016 and the range was developed based on the knowledge I gained while studying my degree. I was blown away by the amazing healing benefits of even the most common herbs and weeds! Having sensitive skin myself, each product has been formulated so that people with all skin types can enjoy affordable, natural skincare, without the harsh chemicals found in commercial products. The range is lovingly handcrafted in the Blue Mountains from naturally derived and certified organic plant-based ingredients and includes – face and body creams, cleansing and face oils, natural deodorant and mists. All products are vegan and we are proud to say that we are accredited by Choose Cruelty Free Australia, which means none of our ingredients or final products have been tested on animals, which is something we are very passionate about. What’s your non-negotiable eco or health wise? My non-negotiable health wise would have to be exercise. I always make time every day to do something. Even if I can’t make it to the gym, I’ll just do a 10 minute walk around the block with the dogs. It is so important to make time to move. Not only is it good for you physically but mentally also. I find if I’m in the middle of something and I can’t concentrate, if I take a break and go for a walk, it really helps me to tackle the task when I get back. I seriously think exercise is what keeps me sane! I love snacks, I’m one of these people that need to eat every 2-3 hours. If I’m at home then I love natural peanut butter on celery sticks or If I’m running out the door then I will take a protein shake with me. I love Prana On chocolate protein powder which is vegan and sugar free. I combine with an unsweetened organic almond milk and not only does it taste amazing, it keeps me full for hours! My other go to is raw mixed nuts. I always have a container in my bag, just in case! There are so many things I would love to learn to do but I think a big one for me, especially being in business, would be to learn to be comfortable with public speaking. Some people believe this is not a behaviour you can learn, that you’re either born with it or not. I believe you can learn to be a comfortable and confident public speaker. It just takes time and practice like anything else you have to learn! One day I’d like to join toastmasters so I can work on this. Might have to save that for after I finish my degree! I usually read two books at once, a business or self-help type book and a fiction book for when I really need to zone out and unwind. The last non-fiction book I read was The Barefoot Investor. I highly recommend this book! So easy to read and some great tips on how to clear debts and manage your money and in particular what to do with your superannuation (boring topic but an important one!!). As for the last fiction book, that would be book 4 in the Outlander series. I watched seasons 1 and 2 on Netflix and fell in love so had to race out and start reading the books! I’m currently reading Get Remarkably Organised by Lorraine Murphy. I just loved her first book Remarkability and this one is shaping up to be just as good! What do you love most about being in business? I love the freedom I have to create and see through an idea. I also love the connections I have made both online and in person through networking and joining likeminded communities such as the Eco and Us Natural living community. It’s been so refreshing to see how supportive other small business owners are of each other and some of my best friends now I’ve met through owning my business. Hmm, that is a tough one! Some would say I never relax! I love reading and immersing myself in a good book, although that is not always easy to do with a family. We live in the Blue Mountains with the National Park right at our back door, so we spend a lot of time bushwalking as a family and to me that is relaxing. What’s an eco switch that you have implemented in your household? We switched from laundry liquid to using soap nuts about 12 months ago and have not looked back! Not only is it better for the environment and my family, but it is also way more economical! I get about 4-5 washes out of 6 soap nuts. It’s incredible! What does the future of Paudha Healing look like? Great question! We have several new products in development, a new website on the way and plans for a blog. I have so many ideas, there just aren’t enough hours in the day to implement them all! What I love is the feedback I get from customers about which products they would love to see added to our range. This keeps the momentum going as I strive to provide the products our customers want and need. Our long term dream is to open our own factory in the Blue Mountains, possibly with a little shop front where our customers can visit us, and where we can employ locals to continue to help us build the business and offer affordable natural skincare to Australia. Who knows where we will be in the next 5 years but I’m excited to find out! Thanks so much for sharing Renee and for your beautiful products my skin is loving what you do. If you would like to read more stories like Renee’s from more Eco and Us business owners be sure to check out our about us page.